As a mom of two young children, baby products have been a huge part of my life (and take up a majority of my home and closet space). When I open our bathroom cabinets, I’m inundated with so many products that we’ve used throughout the years. The great thing about baby products is that they are safe, gentle and mild for everyone in the family. 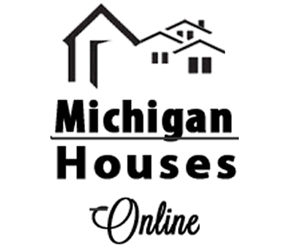 What many don’t realize is that there are so many amazing unexpected uses for the collection of well loved baby products in your home. 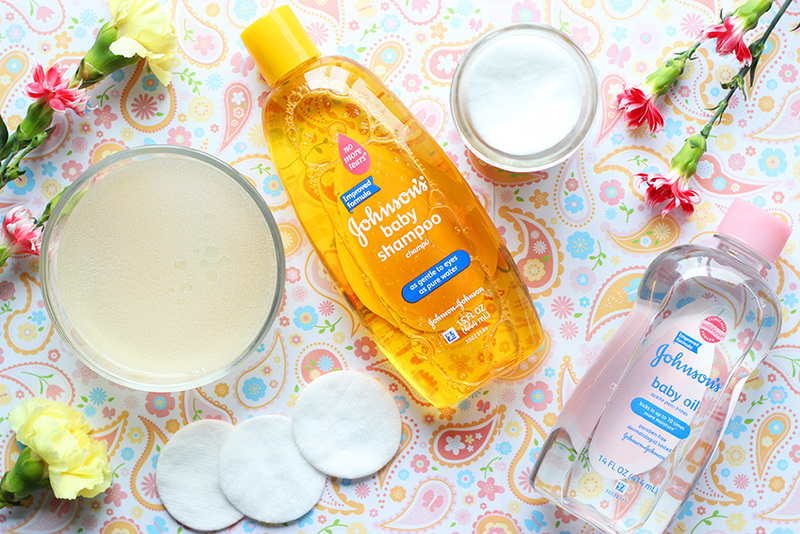 In partnership with JOHNSON’S baby, I’m sharing some of my favorite ways to use some of their most well-known baby products. There’s just something so nostalgic and comforting about that baby scent that I love being able to integrate it into different areas of my own beauty routine. 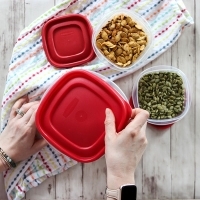 Check out the following mom hacks to make use of every last drop of your tots Johnson’s baby products. 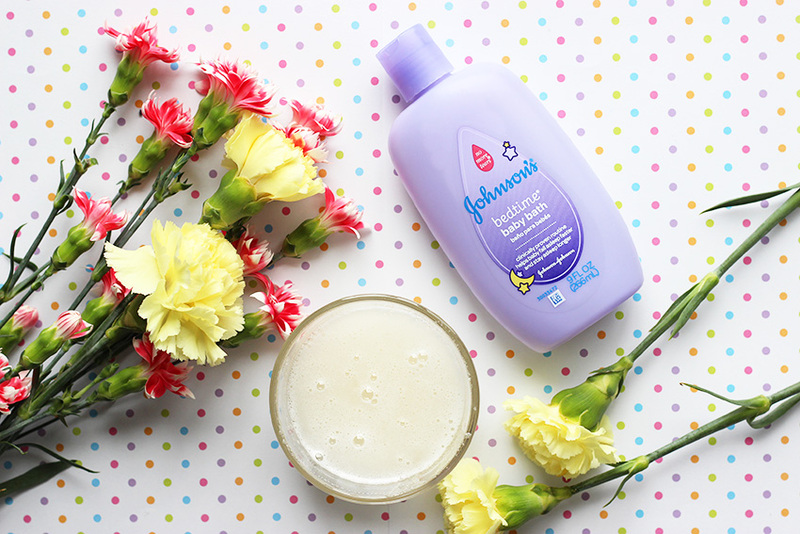 Gentle and tear-free, baby shampoo is good for more than taming wispy hairs and cleaning sticky fingers. 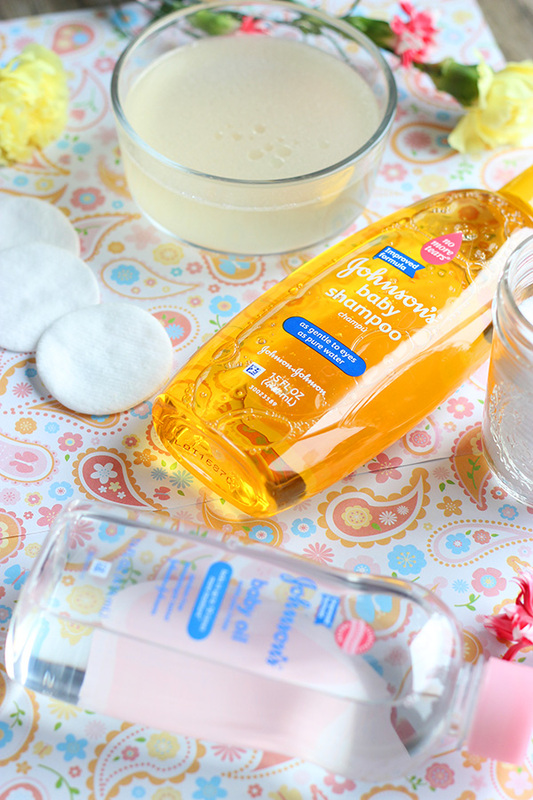 Rinse away old makeup, grime, oil and bacteria with a little baby shampoo and water. 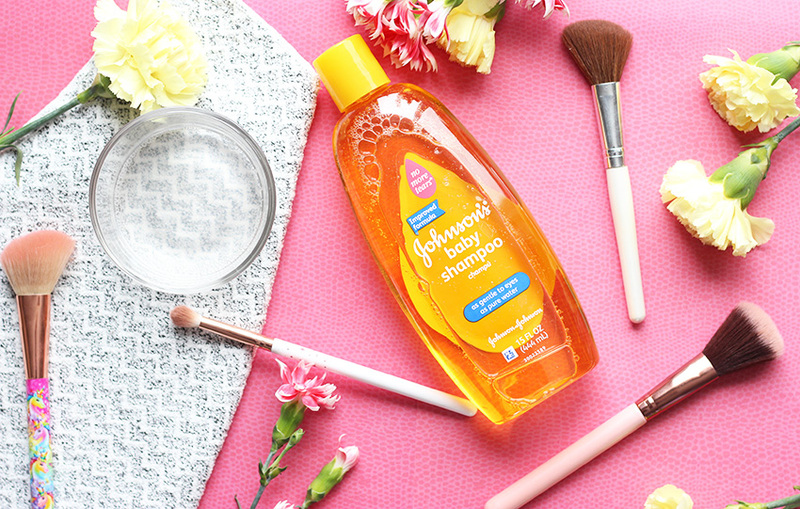 Replace your pricy makeup brush cleaners with this affordable and just as effective option! Add a tablespoon of shampoo to 1 cup of water in a bowl or glass. Swirl brushes in solution, rinse and dry. For delicate clothing and lingerie, add a teaspoon of baby shampoo to a sink of warm water and wash by hand. Rinse and hang to dry. This gentle wash has such a calming scent that everyone in the family can enjoy. With a relaxing scent and gentle formula, using Bedtime Baby Bath for this simple DIY exfoliating scrub is a great way to relax at the end of a long day wrangling toddlers. 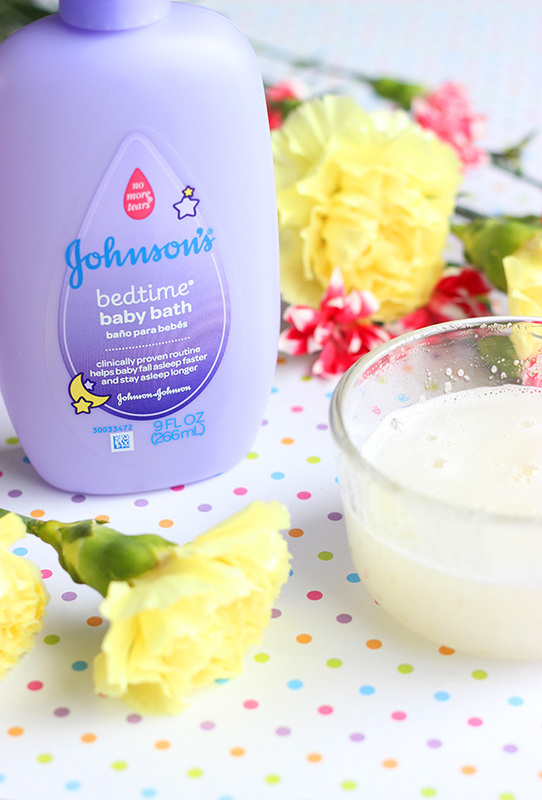 Add one teaspoon of Bedtime Baby Bath, 1/4 cup of sugar and enough water to make a thick paste and mix well. Rub gently on body for a gentle exfoliation. This is great for glowing skin and improved circulation. The tear-free formula makes this a perfect alternative to more expensive remover pads. 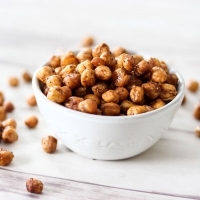 Optional: Several drops of essentials oils (I like lavender or rose hip oil) or Vitamin E.
In separate bowl mix all liquid ingredients. Add cotton rounds to mason jar and slowly pour in liquid (you’ll have to hold the cotton rounds down with one hand while pouring). Wipe off makeup easily! After a shower or bath, rub baby oil all over your skin, to help moisturize your winter-stressed skin. The baby oil locks in moisture leaving you with silky soft and hydrated skin. Slather on copious amounts of baby lotion with a little bit of baby oil on your feet before bed, put on cotton socks and wake up to softened feet. Great for cracked heels and softening calluses. 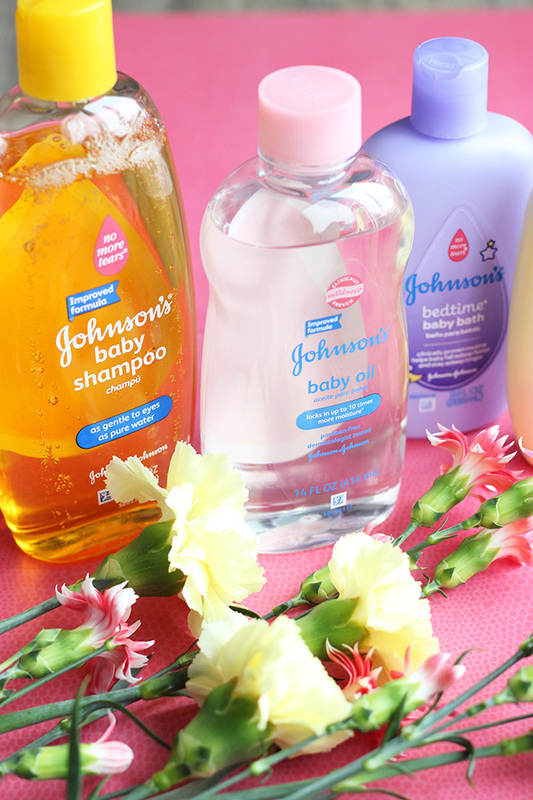 Double dip and take advantage of all the great ways that you can use JOHNSON’S Baby products for more than just on your babies (and save some money while you’re doing so!). Do you have any favorite unusual ways to use baby products? 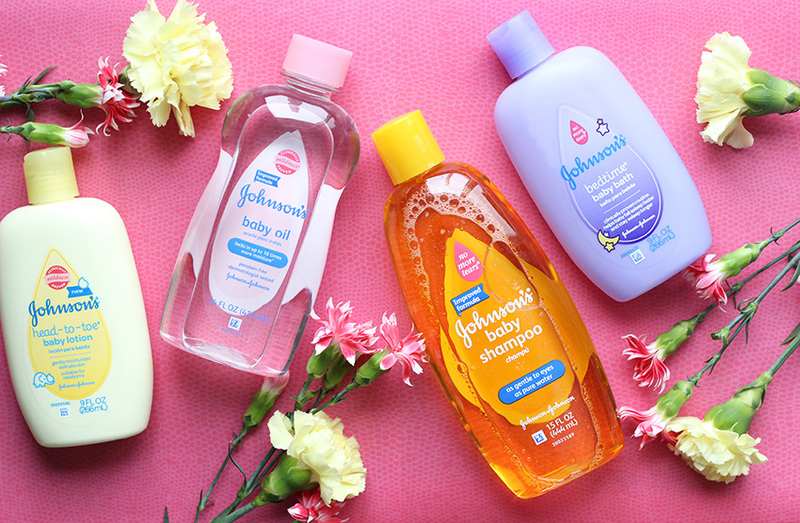 When my little ones were tiny these were my go to products to use for them. I loved the smell and the way it left their skin. What a clever post!! I love the make up remover recipe!! These are genius!! I got all this baby stuff from my shower and my little one but she has skin sensitivity so I am so excited that I can use these products for me! i totally use my sons lotion to keep it in rotation! I would have never thought of these! Love the exfoliation and foot lotion ideas! Yay! Love this I can’t wait to clean my brushes the last time I tried I don’t even remember what I used but it didn’t work haha. Love these hacks! Great ideas! All I use on my skin is baby wash.